Get a look at this! 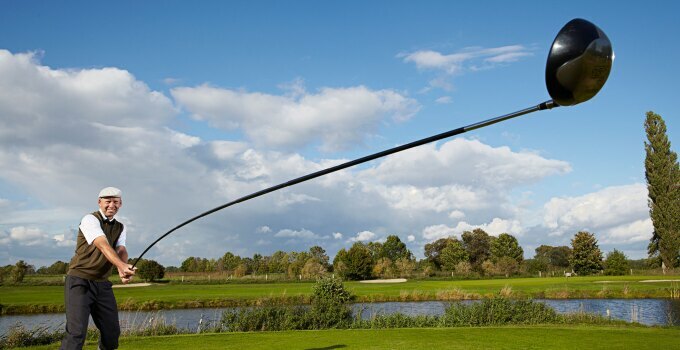 The 2015 Guinness World Records includes an entry for the world's longest usable golf club. Karsten Maas, a 49-year-old Danish man, wields a 14-foot, 5-inch driver that he can hit some 180 yards off the tee. It's a record he took back three years ago from a Texas man who was hitting his 14-foot, 2.5-inch driver as then-world-record holder. Maas has to swing his club three full times around to whip out the momentum of the downswing.